Coconut water increases energy, strengthens the immune system, protects from bacteria and infections and helps you lose weight. 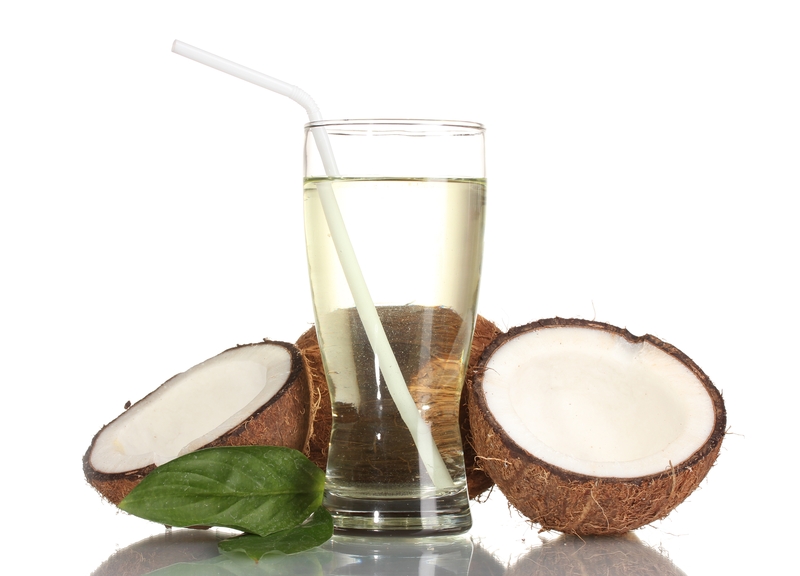 Coconut water is abundant in the electrolyte minerals; calcium, magnesium and potassium. This makes it a great exercise recovery drink. Coconut water is also a popular hangover cure. Alcohol inhibits antidiuretic hormone (ADH, also called vasopressin) and therefore prompts the body to eliminate more fluid than it otherwise would. This can result in slight dehydration, and coconut water immediately restores electrolytes lost from alcohol consumption. Its affinity for the shoreline means that this generous seed can provide us with both essential dietary minerals and many trace minerals. As such, coconut water is known to dissolve kidney stones, increase virility and libido and even help glaucoma. Like coconut oil, coconut water does not create digestive stress. On the contrary, it is known as a digestive healer. It helps seal the gut and increase nutrient absorption. This translates to relief from symptoms of IBS, leaky gut and other inflammatory responses. The mineral profile of coconut water is so similar to human plasma, that doctors have actually injected it intravenously to prevent dehydration. Inside an unopened coconut, the water is sterile and free of any bacteria, fungus, or parasite. It can be safely injected directly into the bloodstream without harming the blood cells and is non-allergenic. This was a common practice in WWII and during Vietnam, when intravenous solution was in short supply. A patient can safely receive as much as one quarter to one third of the patient’s body weight in coconut water intravenously. Not all coconut water is created equal! The best article I have read on this was written by “Food Babe”. Her recommended brands are not the easiest to find. I personally use Taste Nirvana. I like the taste and it is easy to find. This entry was posted on October 7, 2015 by thrivecoach12 in Nutrient Values, Super Foods and tagged Anti-Infective, coconut water, coconut water similar to human plasma, exercise recovery drink, glaucoma, hangover cure, Increase Energy, Kidney Stones, libido, strengthen immune system, Weight Loss.